Web hosting is likely the most confusing, anxiety-ridden part of launching your own site. It’s highly technical, completely foreign to most people, and yet your entire site depends on it. Fun! But don’t worry. We can help. 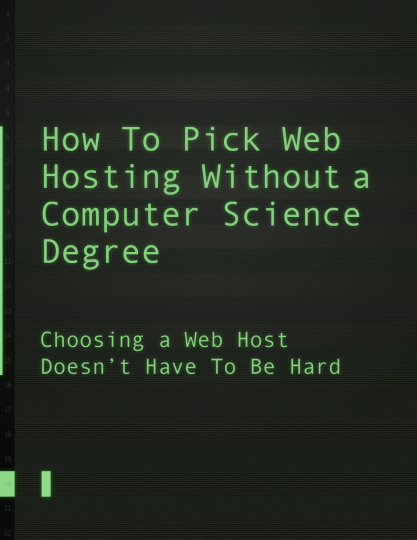 In this eBook, we’ll start with the basics and move through the technical lingo with easy-to-understand translations for those of us who don’t speak “server.” We’ll also cover many of the major considerations when looking for a host to help you figure out exactly what you need.